We recently were married at the Angus Barn Pavilions in Raleigh and after receiving our wedding photos, we are ecstatic that we chose Joe Payne as our wedding photographer. 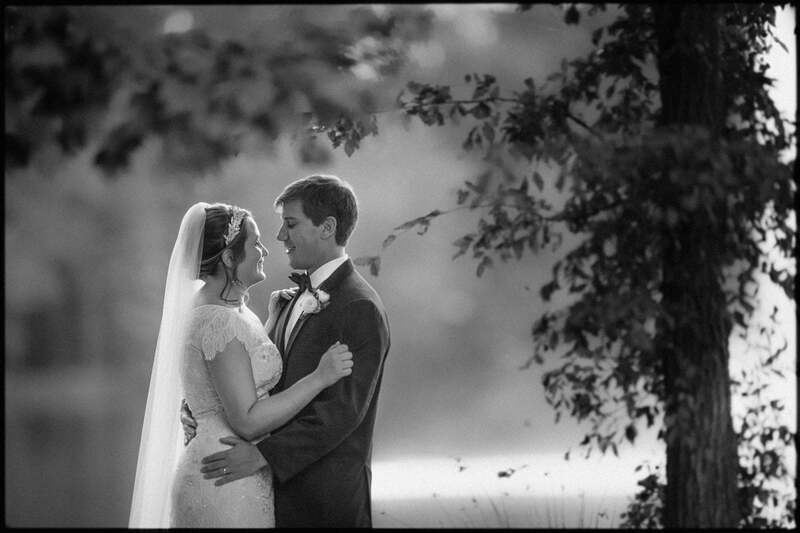 Joe Payne truly captures the emotions of your wedding and creates beautiful photos. Moreover, his documentary style allows you to relax while he takes photos, which was very important to us. First, we had a rainy day for our engagement session but Joe managed to keep a positive attitude and survive the rain with us. That showed us how dedicated he is to pleasing the couple and our crazy schedule at the time. On our wedding day, Joe showed up several hours before the wedding. This was really impressive to us that he would arrive any time we wanted and there was no extra fee. I had spoken to many photographers who would be present for a maximum amount of time only without having to pay extra. He was present while I was getting ready with my bridesmaids but also blended in so we could just relax. The wedding photos were similar. He very efficiently took our posed photos so that we could enjoy our wedding day. Our friends and family really enjoyed the photos that captured the emotions of the moment. I feel like we have a wide variety of photos including posed shots, candid shots (with some smiles and some tears), action shots (including many dance floor shots very popular amongst our friends) and even some panoramic including across the lake at the angus barn shots! One of my favorite photos is when he captured my husband and me laughing during our vows. We only laughed for a few seconds but now we have photo of that perfect moment forever. I would highly recommend Joe Payne to anyone getting married in the triangle area. Thanks Joe!